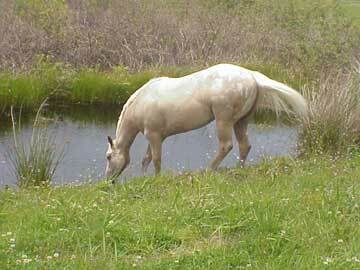 mares' pictures are linked to their "page", just click! Bright Promise born 12:30 am, feb 2lst. 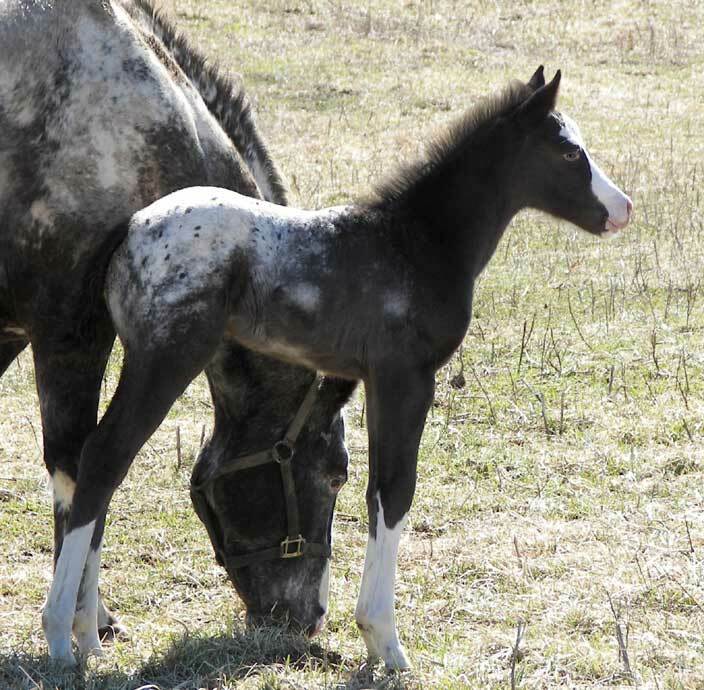 She's a black roan filly, blaze, spotted blanket and four white stockings! 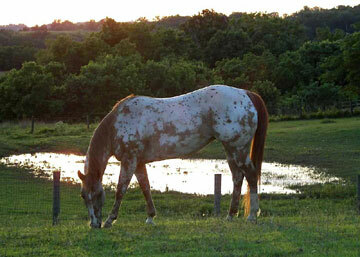 "Promise" is at home with Nancy and Richard in Texas! Angel has gone home to Vicki in KY! Rewardachic X A Smooth Spoted Page at 3 weeks old. was a thunder storm going on and lightening all around. 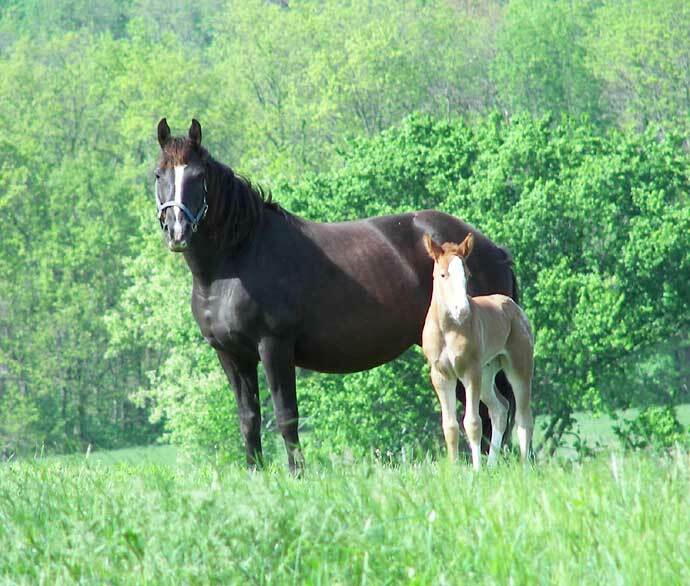 Set Your Sights X Nuggets Super Shado, Foaled a leopard colt March 25th at l0 pm! 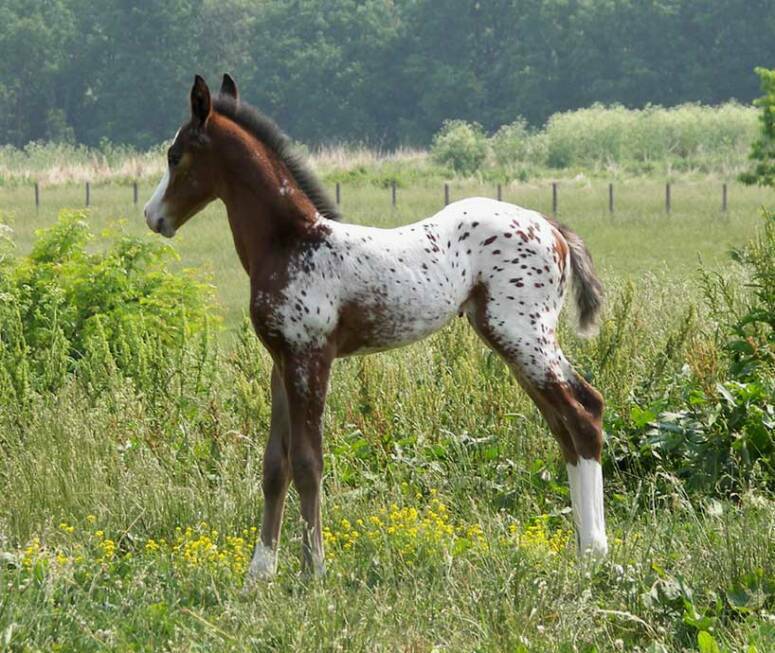 This handsome Dun leopard with dark points will be named after a favorite gelding who is 25 now. Rusty is beautifully muscled and pretty headed. He has a playful disposition to match. Rusty is at home in Palmdale, CA with Handy! 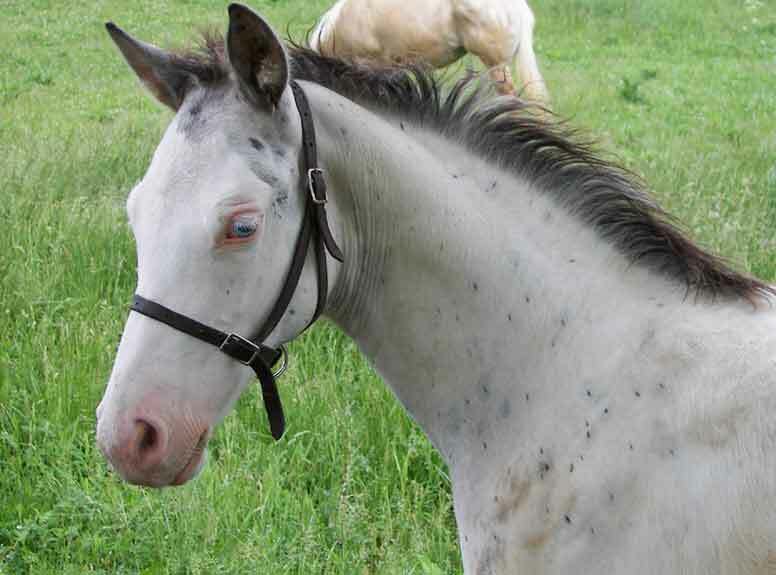 Rusty is the cover shot for may 2008 appaloosa journal! Smooth Skippin Chic was born February 27th at 3 pm in the afternoon. 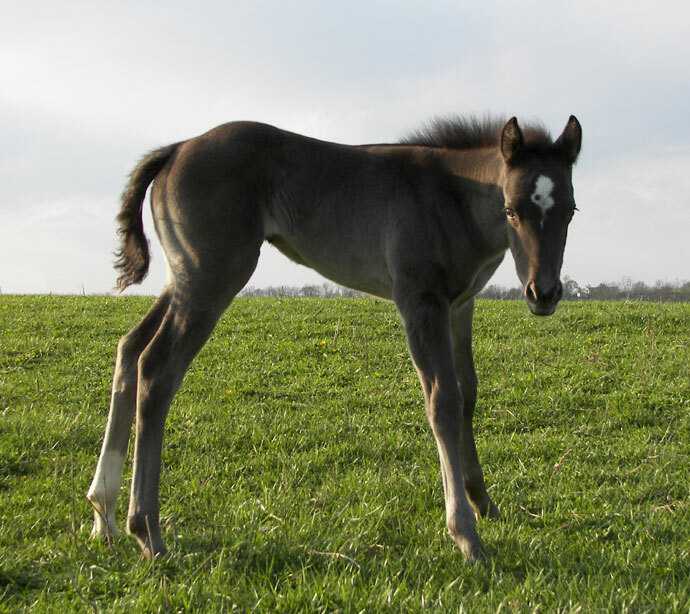 Her halter conformation was obvious from the first hour. 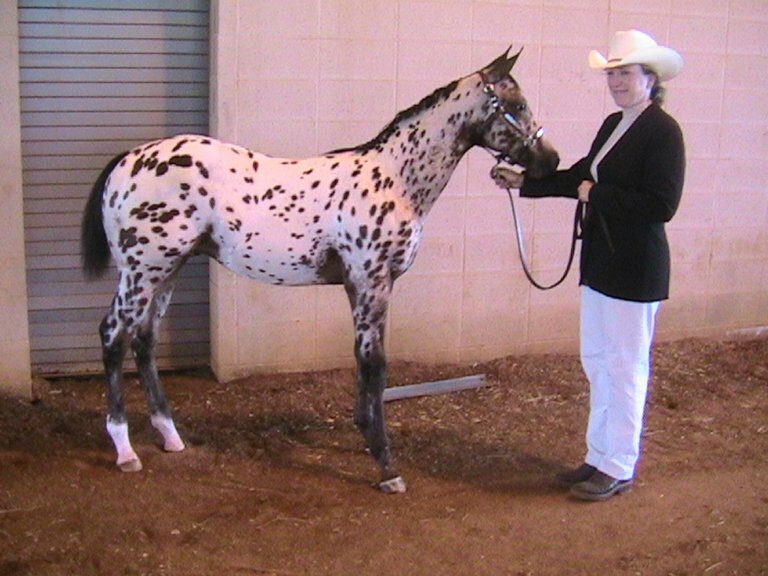 Her sire, A Smooth Spoted Page, was RESERVE WORLD CHAMPION 2006 in open halter. 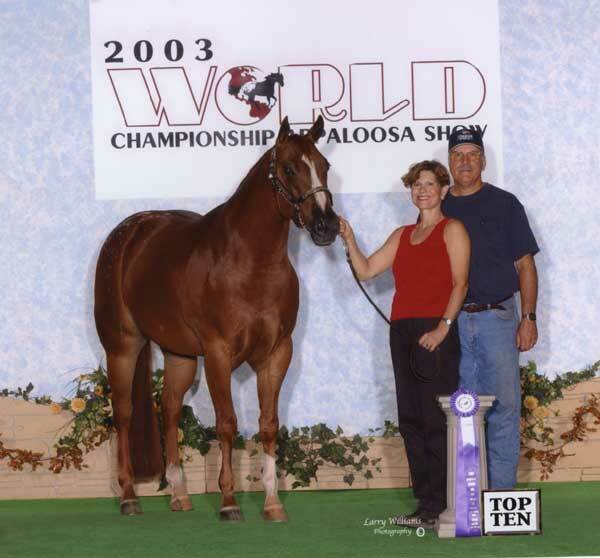 Crystals 06 foal , Brokers Reward, placed 6th in weanling colts also at the WORLD SHOW! 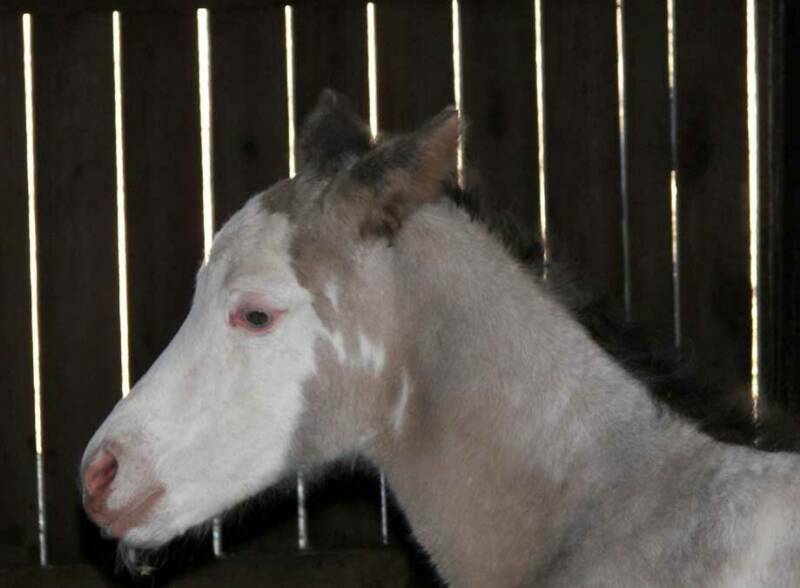 Angel was born February 25th at 11 PM "Mighty Fine Angel"
"Sable" at two weeks old. Sable will likely be a smokey black. Sable has dark blue eyes. 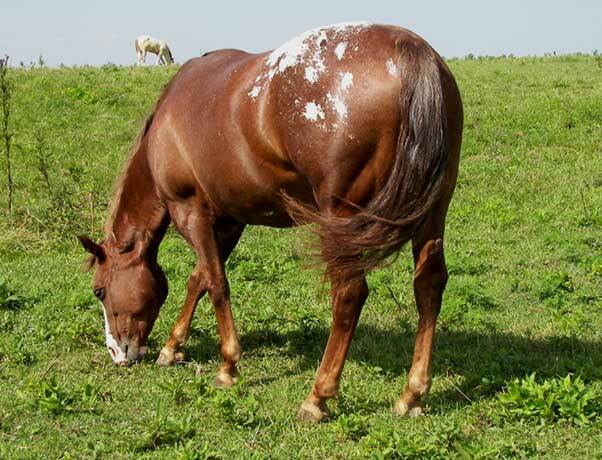 With her mottled skin and striped hooves, she will likely color in tne future. Her disposition is curious and gentle , a pet. 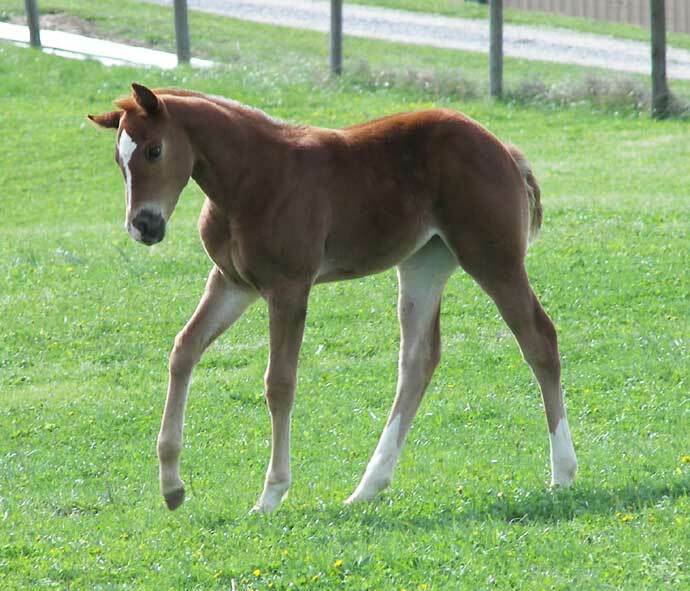 Annie foaled March 24th at 2 am. Sparkle is the MOST friendly little girl. The name reflects her personality. I will definitely repeat the cross, i am enjoying her so. Sparkle has gone home to TN with Cliff!. 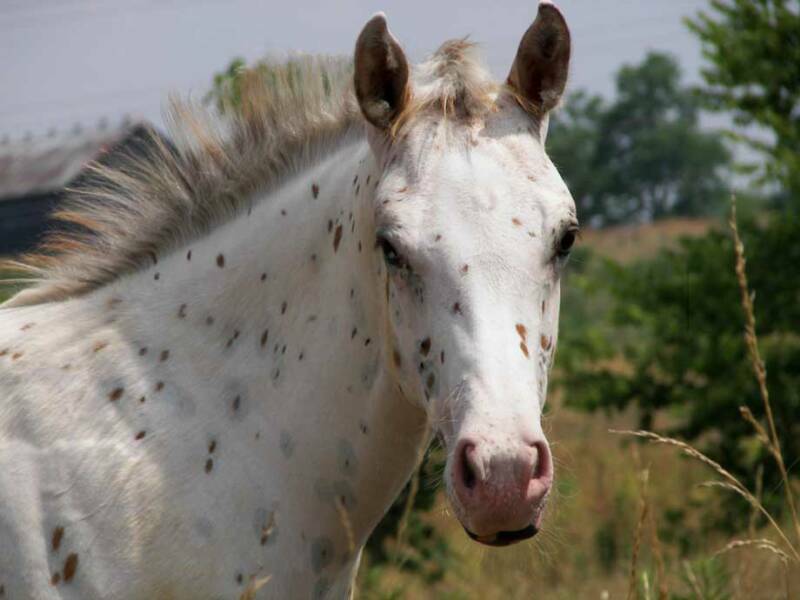 Zanzi was purchased in foal from an appaloosa ranch in Alberta, Canada hru a rescue agency . 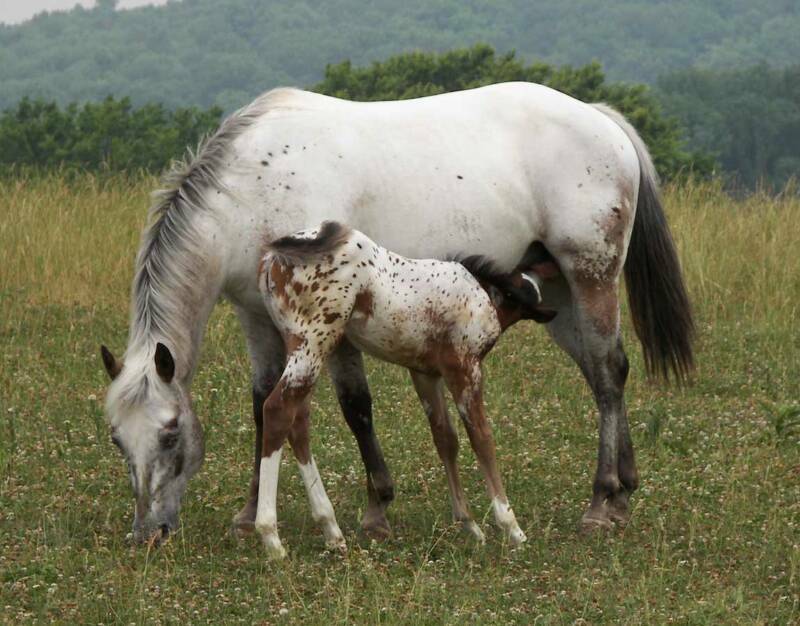 When we purchased Zanzi , we understood that the sire to her foal, He Bee Arrogant, was HYPP N/N. AFter further investigation, i found him to be N/H. 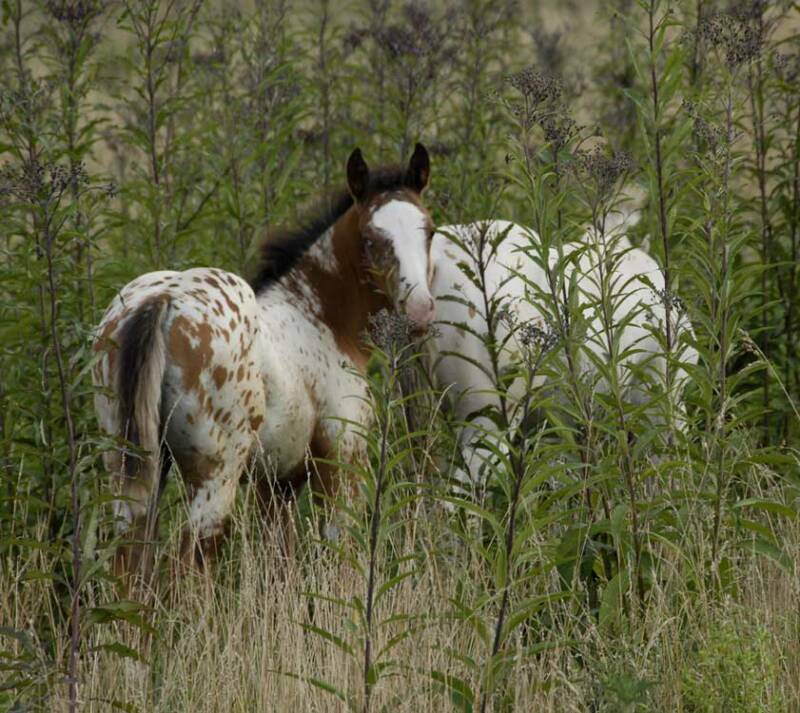 I had her filly, Rosie, tested at one week old and we got the sad results that she is N/H. 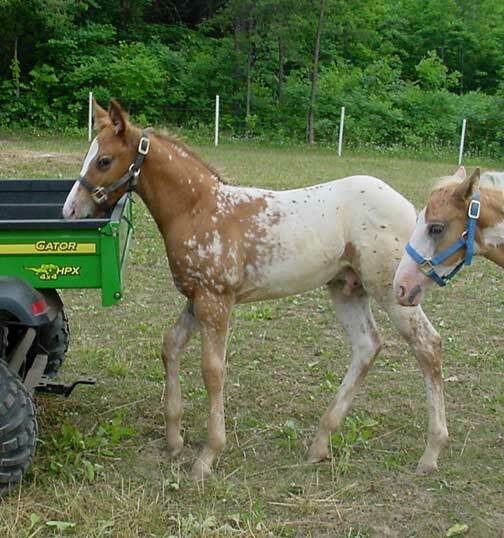 Rosie has been reserved by Alberta in NC she will be shown, but not bred due to her genetic condition. Thank you Alberta! 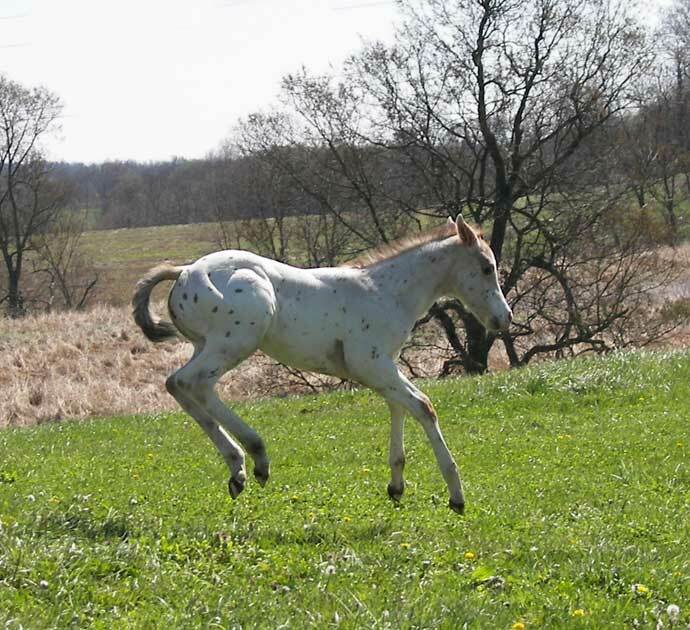 Look at rosie shedding into a roan leopard like her mama! If you know anyone that adopted one of the many mares in foal to He Bee Arrogant from Alberta, Canada in February, please pass on the information about his hypp status. this big girl is an athlete. 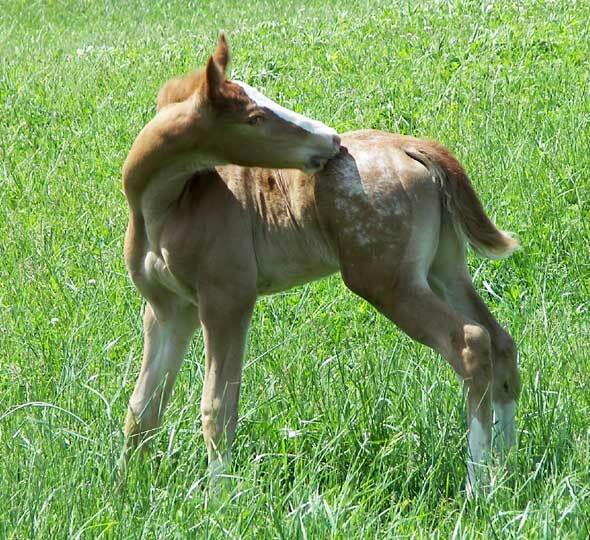 She has her sire's conformation and was born running, bucking and prancing. If you want a filly to ride, work or perform, i think Handy will be a great sport horse prospect. 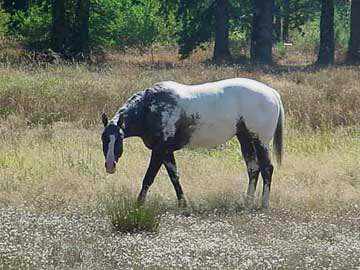 Visit her ad on Horsetopia.com for a little video of Handy! 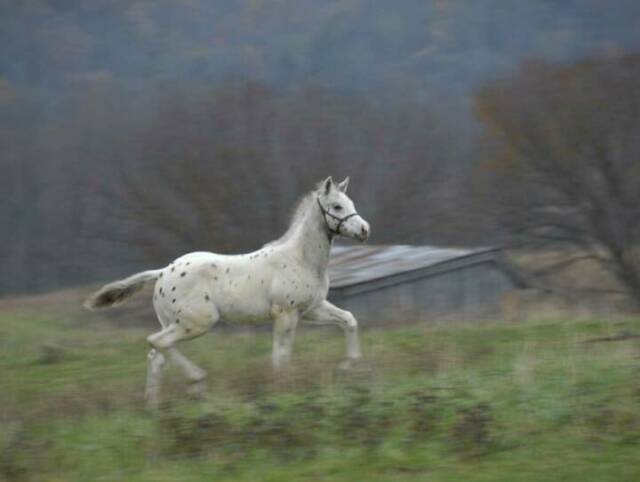 Handy will not be APHC registered due to the draft influence in her blood , but could be Appaloosa Sport Horse registered. 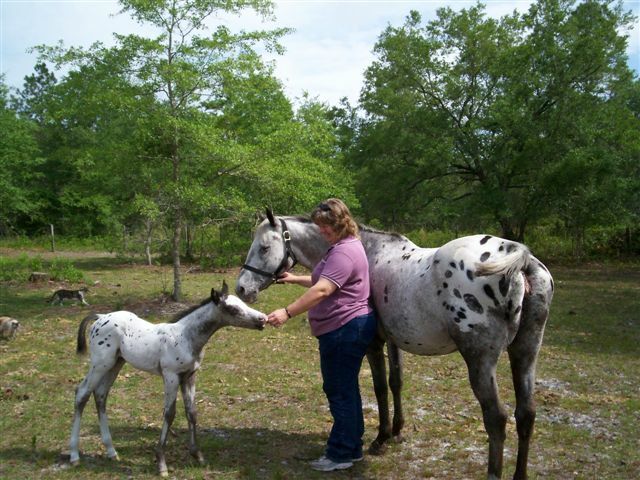 Look at the size of her at 4 days old! And she flies! Handy is at home in CA with Rusty! Can you believe she is only five days old here? 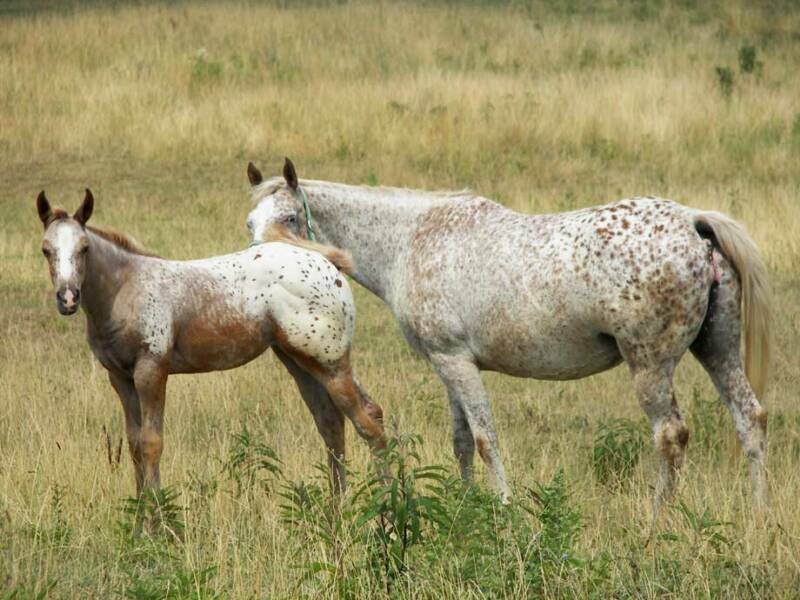 Zella, Annie and their new filly by Zeke! in his first show in Huntsville, AL. Look at Angel CHANGE!! 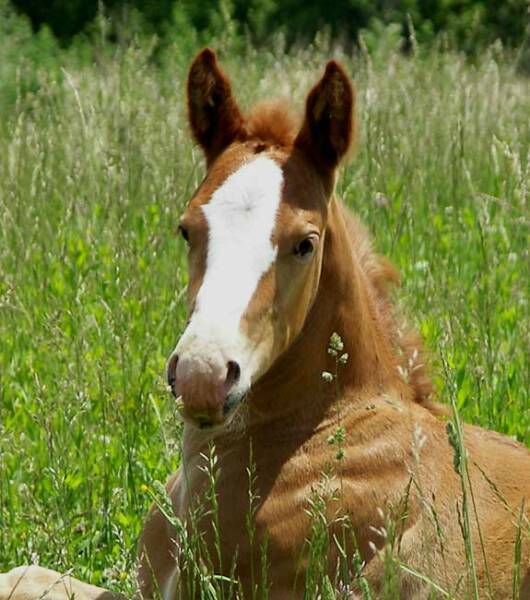 Yes, these two head shots are the same filly! 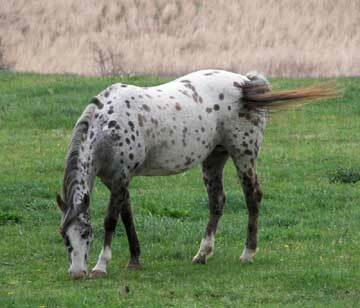 People ask why i favor the appaloosa. 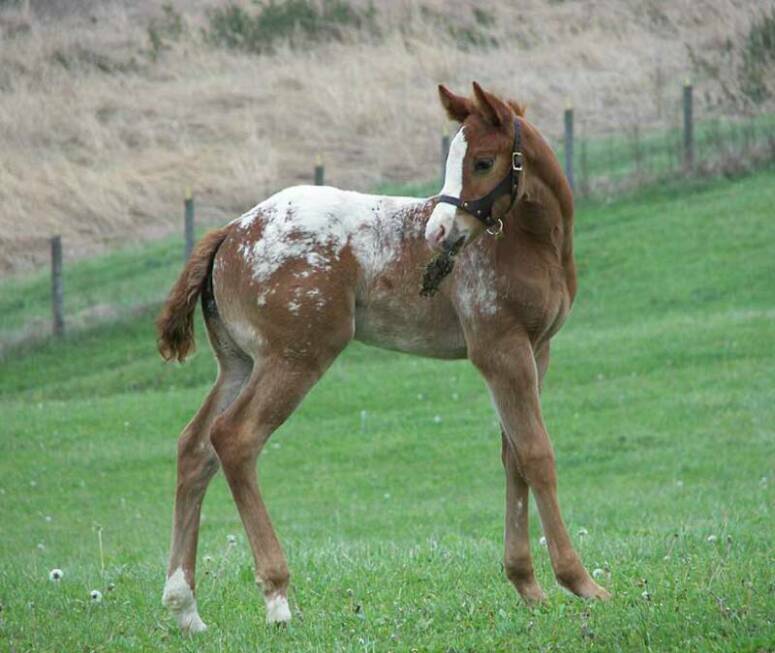 I tell them every foal is unique and they evolve! 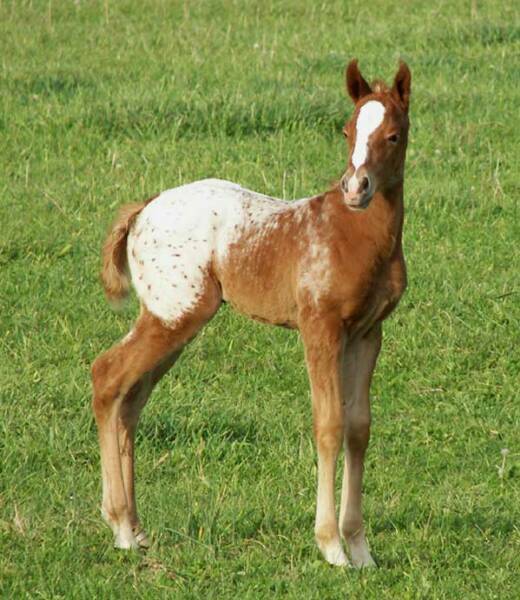 Handsome colt by Dreamin Dun, in Somerset, Kentucky.. owned by Harvey and Freda and are for sale on the Guest Page. Megan was born May l7th about 11:30 pm. 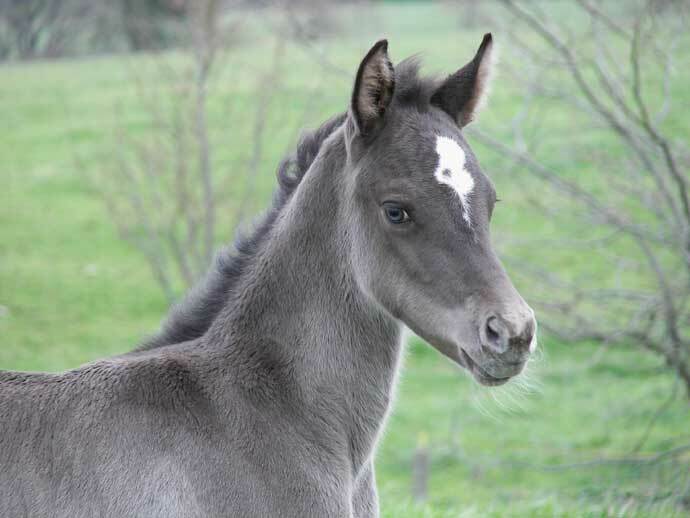 She was handled from the moment of birth and is an exceptionally beautiful and gentle filly.